I guess they would have to be a mad scientist to even read those blocks. Pretty cool though. Very cool. 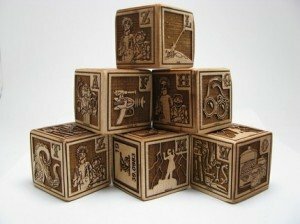 These blocks would be excellent for expanding a child’s vocabulary.